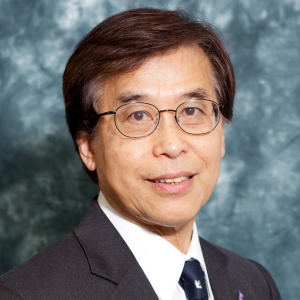 Dr. Walter Mok received his Ph.D. degree in Physics from University of California, Davis in 1980. He is the Chief Technology Officer of lifeit.net, Life Imaging Technology based in Palo Alto. He provides unconventional solutions with uncommon requirement for the renewable energy industry. Prior to the current position, he was the Director of Research and Development, Humphrey-Zeiss-Welch Alan Instrument in California, U.S. in 1992-1993; the Executive Vice President, VP of R&D and Co-founder of MCM Laboratory in California, U.S. during 1986-1990. Before, he worked for two Fortune 500 companies, Lockheed and Boeing as Staff Engineer. Dr. Mok published extensively in referenced journal, conference proceedings, book articles, lecture notes, videos and patents covering in many different fields of physics and medicine, synchrotron light beam diagnostics, probe and fire laser angioplasty, solid state laser for medicine, laser interferometry, high speed spatial light modulator, time correlated single photon spectroscopy. Lately he got into material science and nano-technology. His patents on “Probe and fire” laser system and laser catheter design are frequently referenced in the field of medical device. In 1989, Dr. Mok and his business partner Dr. Murphy, M.D. made national headline for their work on laser angioplasty. Dr. Mok was invited by the National Science Council as a member of the delegate from U.S. to draft the first Taiwan Photonic industry development plan under the leadership of Professor Li Yuen Jet, Nobel Laureate. Dr. Mok is the Adjunct Professor of the Department of Decision Sciences and Managerial Economics at The Chinese University of Hong Kong (CUHK) Business School. He contributed to the Silicon Valley field study trip for EMBA and EMBA (Chinese) in 2011-2016 and for MSc in Information and Technology Management (MSc ITM) since 2005. He teaches course about technology startup for MSc ITM programme and organises a tech business conference called “Opportunity Conference” for many years.